8:30 a.m.: Recruiters from the Dow Chemical Company arrive at the Commerce Building (now Ingraham Hall, 1155 Observatory Drive) to interview students for prospective jobs. 10 a.m.: About 200 to 250 protesters begin gathering at the foot of Bascom Hill. 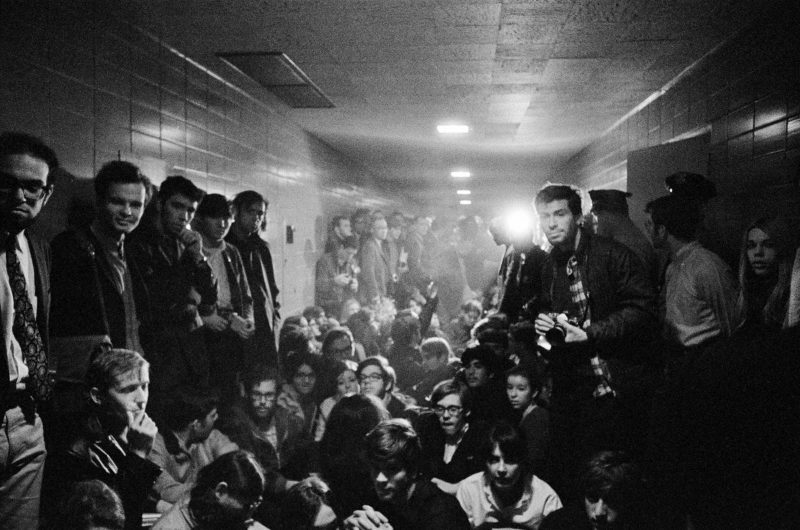 10:30 a.m.: Dozens of student demonstrators enter the Commerce Building and surround the four police officers stationed outside the room where the Dow interviews are being held. The students sit down, blocking the entrances to many rooms. 11 a.m.: About 200 people are now completely filling the east-west corridor, yelling, singing and chanting. 11:15 a.m.: A student wanting to interview with Dow is refused entry by demonstrators. One protester puts his arm around the neck of the prospective interviewee and holds him. University Police Chief Ralph Hanson tells three protesters blocking a door that their action constitutes disorderly conduct and that they are under arrest. As police officers try to arrest one of the three, other students grab onto him so that he can’t be dragged away. With the crowd becoming more hostile, Hanson halts the arrest. 11:30 a.m.: An additional 150 to 200 students are now filling the north-south corridor, many of them spectators. Believing the situation beyond his control, Hanson calls Madison Police Chief Wilbur Emery and tells him to send every available officer to campus. 12 p.m.: City police officers, equipped with helmets and riot sticks, begin to arrive. Emery tells his police officers not to swing their riot sticks and to use them only to fend off blows. 1 p.m.: Hanson enters Commerce and declares two or three times through a bullhorn that the assembly is unlawful. He tells protesters they must disperse or they will be arrested. He is jeered and cursed. No one leaves. 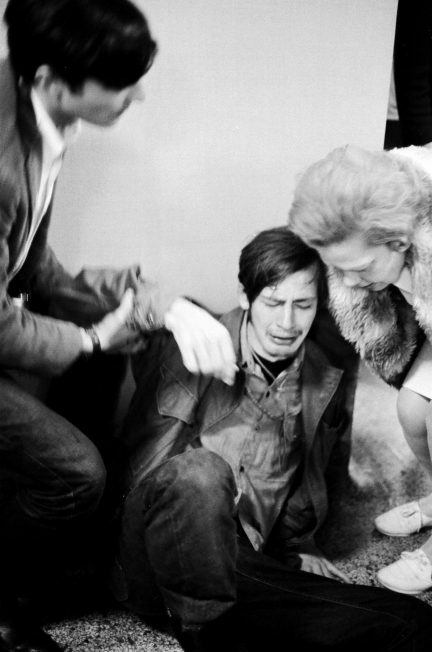 An assistant to the university president is struck in the face by a protester. 1:45 p.m.: With the corridors cleared, the melee moves outside, where demonstrators begin throwing rocks, sticks, pipes, shoes and bricks at police and at the Commerce Building. Police strike back at the crowd, sometimes using riot sticks. 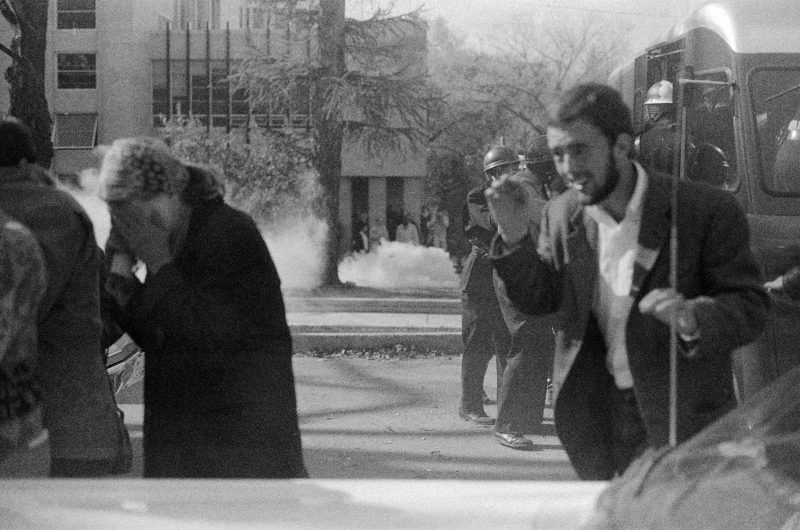 2 p.m.: Emery decides the crowd must be broken up and orders the use of tear gas. It is the first time tear gas is used on the UW–Madison campus. Emery calls the Dane County Sheriff’s Office for officer reinforcements. By this time, at least three officers have been seriously injured and dozens of protesters have sought medical attention. 3 p.m.: About 150 officers establish a perimeter around the Commerce Building to gain control of the crowd. The show of force serves to reduce further incidents and the crowd slowly disperses. 5:30 p.m.: All protesters have departed and the police have left the campus. 9 p.m.: More than 3,000 students amass on Library Mall and vote to boycott classes until the administration permanently bars city police from campus and agrees not to punish leaders of the Dow sit-in. 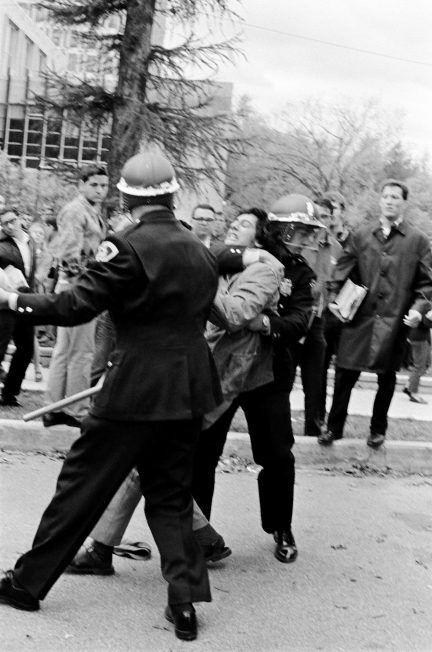 For years to come, the campus would be roiled by antiwar demonstrations, some involving tear gas and the National Guard. 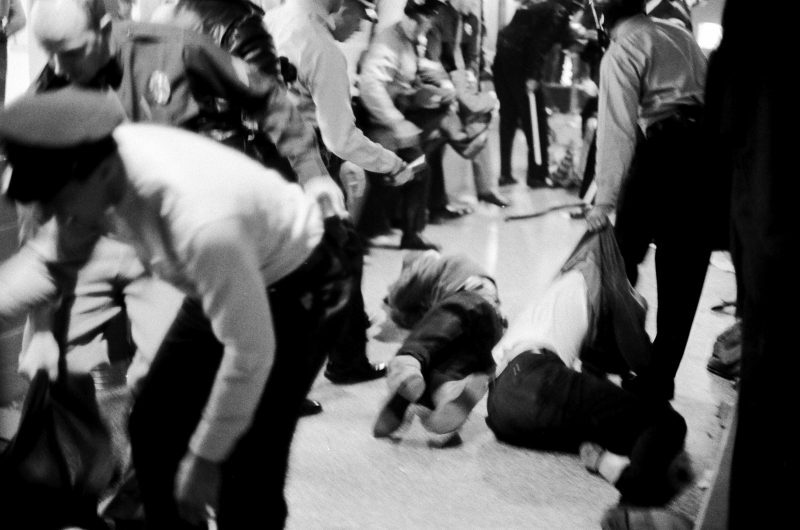 On Aug. 24, 1970, the violence turned deadly. Four protesters bombed Sterling Hall, home of the Army Mathematics Research Center, killing postdoctoral fellow Robert Fassnacht. In the years following the Dow demonstration, the Madison Police Department dramatically changed its policies related to large protests. A team of officers specially trained in crowd management now leads the response, with the goal of keeping officers in “soft gear” and avoiding riot gear. The emphasis is on working proactively with protesters to facilitate a safe demonstration. The department trains frequently with the UW Police Department and has developed a mounted horse patrol that helps peacefully manage large crowds. 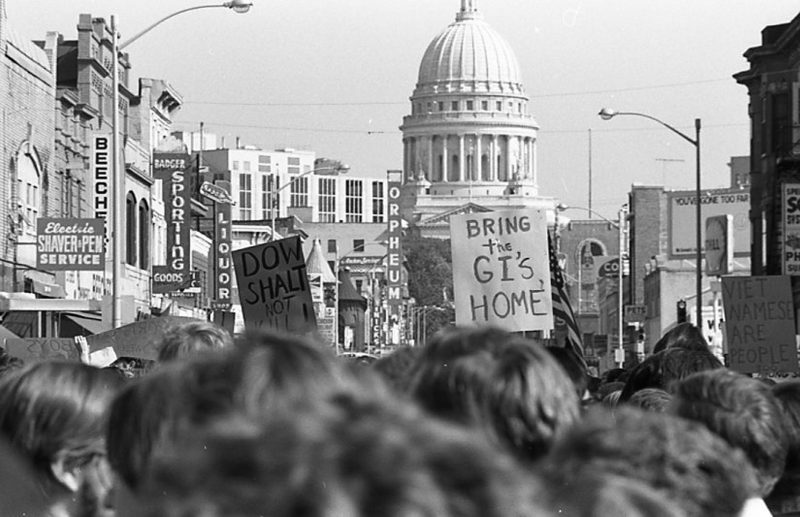 SOURCES: UW–Madison archives; Madison historian and UW–Madison alumnus Stu Levitan; “They Marched Into Sunlight,” by David Maraniss; Madison Police Department spokesman Joel DeSpain.